Upon arrival you will be received by our driver /guide and head for Nairobi. Transfer to a budget hotel for rest and overnight. Early breakfast followed by a game drive. 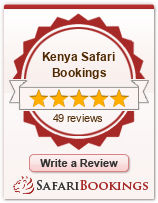 The landscape is breathtaking with its network of roads specially constructed for game viewing. The Mara River bisects the Mara and it's tributaries which are margined by luxuriant riverine forest lunch at the campsite. In the afternoon you have three optional activities, a visit to Masai village to see their nomadic life this at extra cost, a game drive or an escorted nature walk with armed Masai guides. Dinner and overnight at your campsite. After breakfast depart masai Mara for lake Nakuru national park where every flamingo in the world seems to be here, a spectacular ocean of pink surrounded by forest and plains that are home to lion, rhino, leopard, and large herds of waterbuck. Dinner and overnight at the campsite. After breakfast, you will have a morning game viewing session leave lake nakuru for Nairobi for lunch then to Amboseli national park for dinner and overnight at the campsite. A day of game drives in this park, which dust devils swirl around the edges, but in the heart of the park is an amazing swamp which elephants and hippos are in abundance. A visit to the observation hill will follow where youMale zebras fight to get a mate will look out for the glistering majestic snowcap of Mt Kilimanjaro. Amboseli is justly famous both for it's big game – elephants, which are the most studied in the world. Living beside the most celebrated culture in the world- the masai., lions and cheetahs.you will have lunch and leisure break at the campsite in the mid afternoon. Dinner and overnight at the campsite. After breakfast, proceed for your final game drive leave for Nairobi after having an early lunch arriving in the evening .